From the beginning, Sunlit Tech fights forwarder with a different and differential road. It took great care on essence and recruited capable persons, accumulated rich experience in the past years. In these 15 years, Sunlit insists the philosophy of "Quality First" and penetrate international ISO9001:2008 quality control system, most of its products have passed CE, FCC, CCC and RoHs tests and approval while some of them even receive patent certificates. Adopts of international famous components plus scientific management helps it form up a reputable image. High quality, attractive price, sincerity and high efficiency assist it to organize a big sales net including more than 36 countries in Asia, Europe, Africa, Middle East and South America. These years, Sunlit Tech joints up indoor alarm, pet immunity alarm, outdoor alarm and network CCTV monitoring and mobile internet of things. It has become a preferred alarm brand by smart home manufacturer and end users. It makes contribution for Peaceful city and peaceful society. 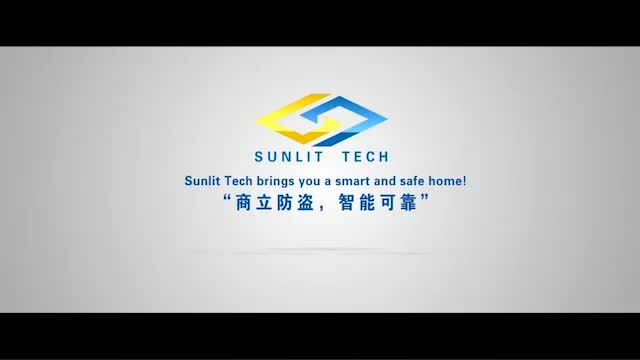 As for future,we will carry forward our company spirits of "Advance with the time, create and improve with the time", and continue the ideas of "Developing base on quality, winning clients base on service,take creation as core competence", forge Sunlit Tech to be a leading brand in smart alarm area home and abroad.